There have been problems with young people hanging around on the Oakley Vale estate. File picture. People living on Corby’s Oakley Vale estate and in the village of Weldon are being asked to report anti-social behaviour to the police to help officers use powers to stop the issues. Councillors at Corby Council’s Crime and Disorder Committee on Wednesday spoke of how residents’ lives are being blighted by youngsters causing issues drinking and smoking cannabis in their neighbourhoods. Cllr Bridget Watts said that some people living in Weldon were scared to use their gardens because of young people hanging around on the bridge by the church. And her colleague Cllr Judy Caine said that there had been similar issues in parts of Oakley Vale since a dispersal notice on the estate was lifted some time ago. 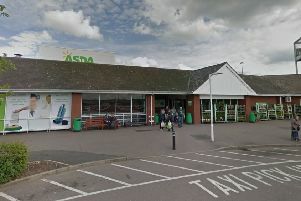 Community Safety Officer Olivia Stinson said that news of the incidents had not reached their team and urged people to get in touch with her. She said: “We’d encourage people to report incidents to us as well as to the police. “Then our team can go out and see what behaviour is occurring and we can decide what action to take from there.